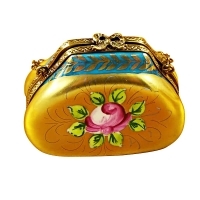 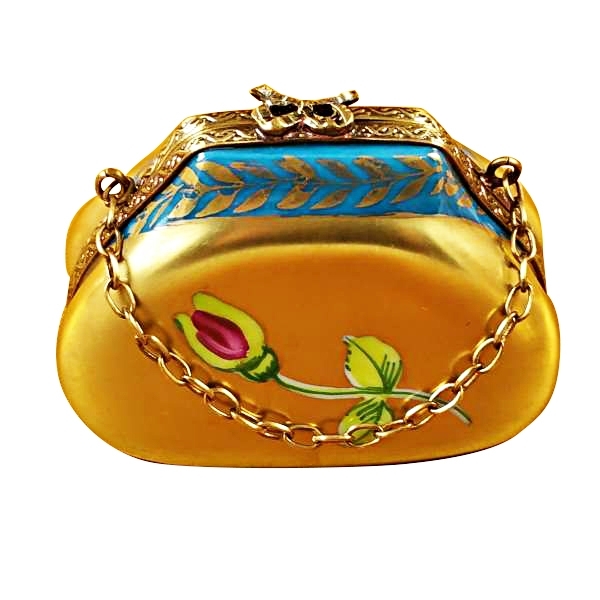 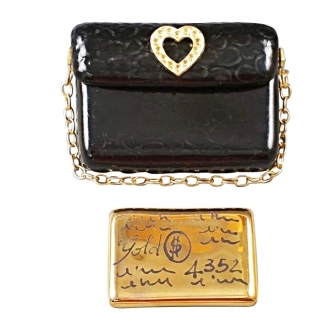 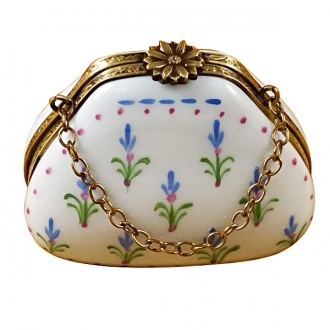 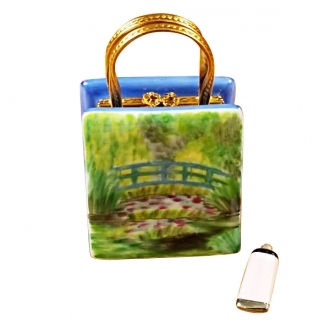 Gold handbag - Limoges Boxes and Figurines - Limoges Factory Co.
A colorful collection of French Limoges, styled as ladies accessories that offers quality, style and luxury. 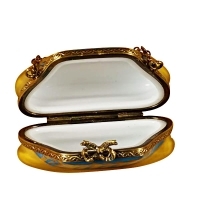 Since the very beginning of limoges boxes, their design and idea was about style, fashion and quality. 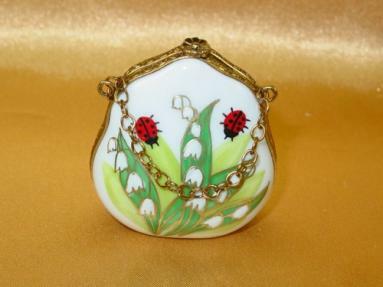 This collection of limoges is a very subtle embodiment of these qualities. 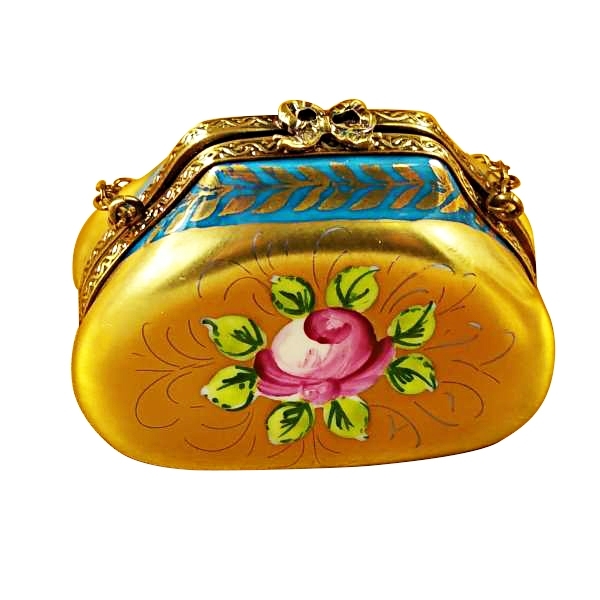 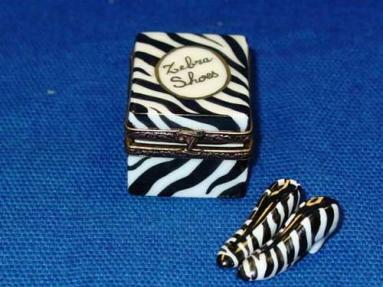 After all when it comes to finding the perfect ladies accessories, having these qualities is very important. Measurements: 2" х 1" х 1,5"
H: 3.50" W: 1.50" L: 2.00"
H: 1.00" W: 1.50" L: 2.00"
H: 2.00" W: 2.25" L: 3.00"
H: 1.25" W: 1.00" L: 1.50"
H: 2.00" W: 1.00" L: 1.75"
H: 1.50" W: 0.50" L: 2.00"
H: 0.75" W: 1.50" L: 1.00"
H: 1.50" W: 1.25" L: 2.00"
H: 1.50" W: 1.00" L: 1.75"
H: 1.50" W: 1.50" L: 1.75"
H: 3.00" W: 1.50" L: 2.00"
H: 1.75" W: 1.25" L: 2.00"
H: 1.25" W: 1.25" L: 2.00"
H: 3.00" W: 1.00" L: 1.00"
H: 2.00" W: 2.00" L: 2.50"
H: 1.00" W: 1.50" L: 2.25"
H: 1.50" W: 1.00" L: 2.50"
H: 2.50" W: 1.25" L: 2.00"
H: 2.00" W: 2.00" L: 2.75"
H: 1.50" W: 0.75" L: 2.25"
H: 2.25" W: 1.50" L: 1.50"
H: 3.00" W: 1.25" L: 1.75"
H: 2.50" W: 1.25" L: 2.50"
H: 1.50" W: 1.00" L: 2.00"
H: 3.00" W: 1.25" L: 2.00"